Growing up in Wisconsin, eating cheese was part of my daily diet (good or bad). 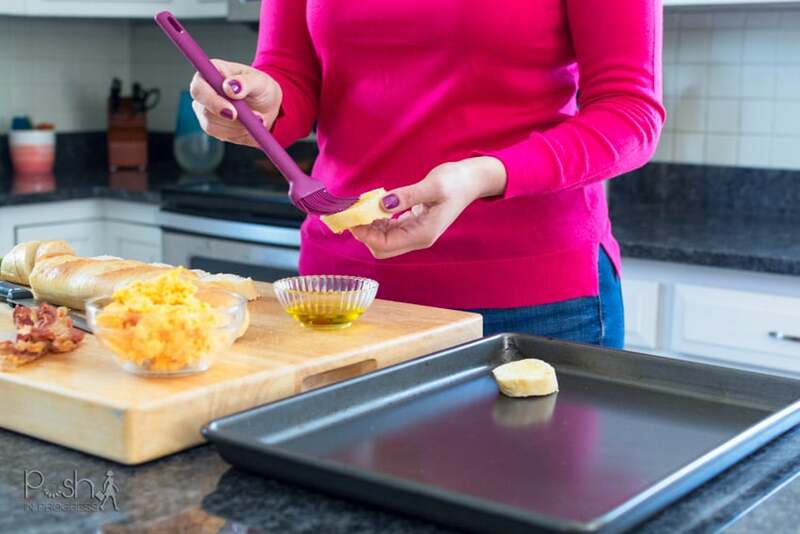 On a regular basis, my mom would purchase the spreadable cheeses – my favorite was the wine cheese flavor with the cheddar being a close second. 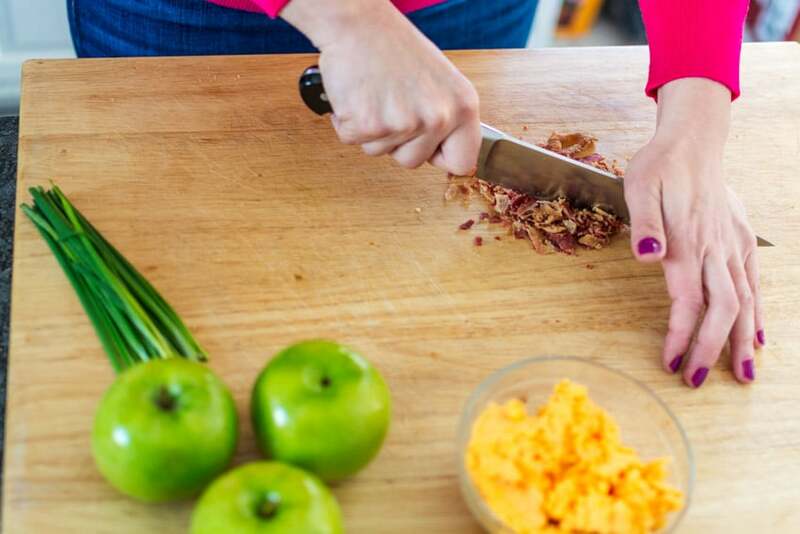 I recently had a chance to make a recipe featuring my childhood favorite brand (Kaukauna is only 20 minutes from my hometown), so I came up with this super easy cheddar apple crostini recipe. This recipe is seriously perfect to serve at your next get-together. 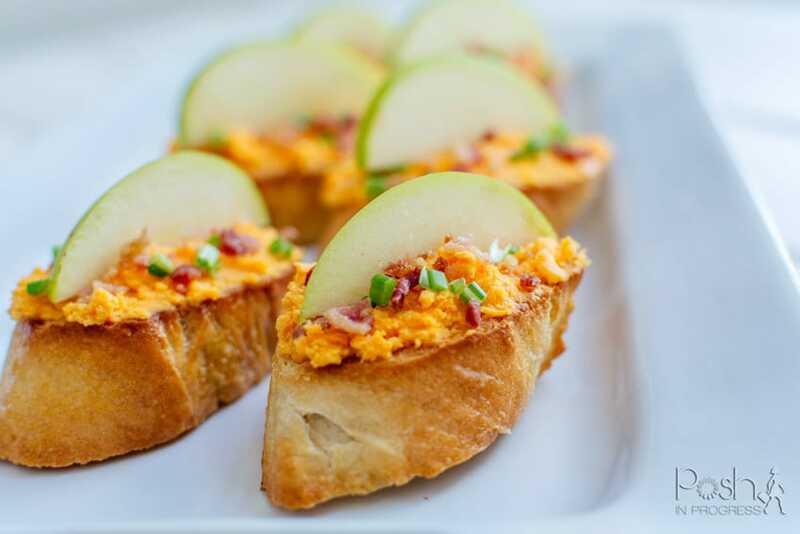 I love this cheddar apple crostini recipe because it literally takes 15 minutes to make, and most of that time is for crisping up the bread. I know it might sound weird, but cheddar and apple go really well together. 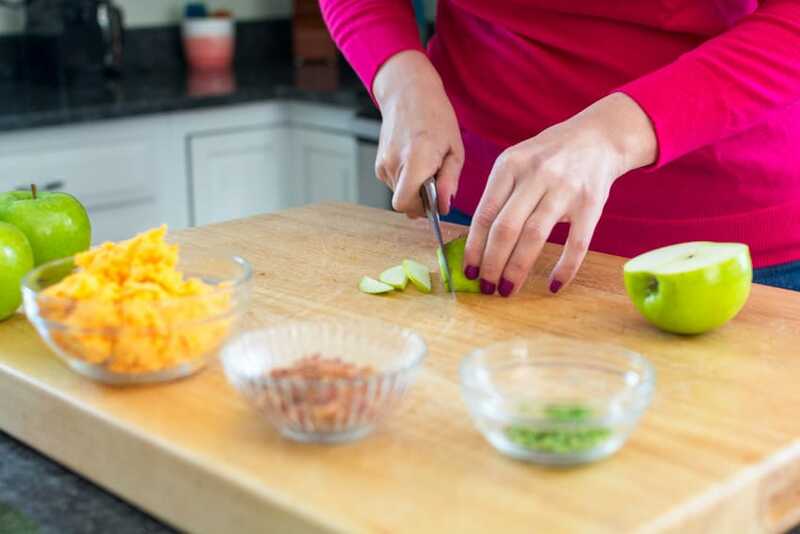 Plus, granny smith apples are pretty tart, so their slight richness and crispness go so well with the cheese. The chives and bacon add just a little kick of flavor. 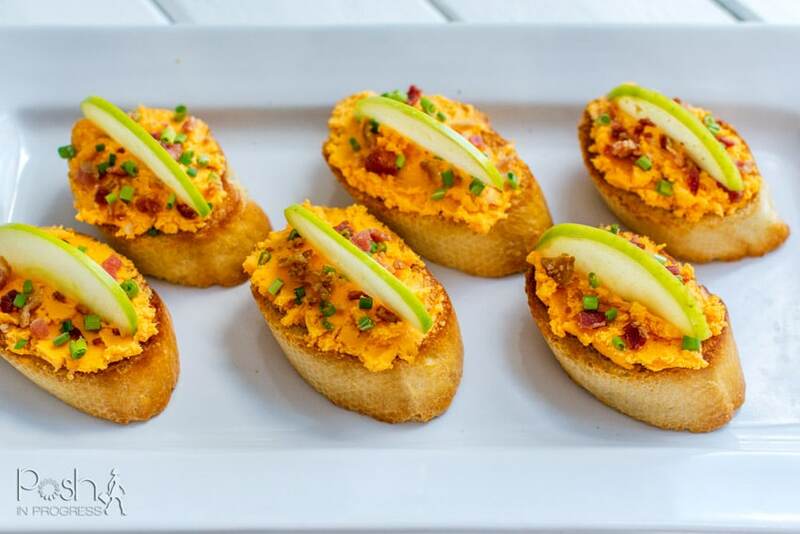 If you’re looking for a simple appetizer to serve at your next party, definitely consider trying this easy cheddar apple crostini recipe. It is super quick to make, they taste yummy, and they look pretty, if you ask me. Preheat oven to 375 degrees. Slice baguette cross-wise and brush with olive oil. Bake for 12-15 minutes, until the bread is brown and crusty. Remove from oven and let cool completely. Spread 1-2 tablespoons of spreadable cheddar cheese onto each crostini. Sprinkle with crumbled bacon and chives. Top each crostini with a slice of apple.